Gedser passenger and car ferry ticket prices, timetables, ticket reservations and information for ferries sailing from Gedser to Rostock. Compare all available Gedser ferry ticket prices in real time and book the cheapest available Gedser car and passenger ferry tickets sailing to and from Gedser, Rostock with Scandlines Ferries ferries online with instant confirmation. Book Gedser Ferry Tickets with Scandlines Ferries for ferries sailing from Gedser to Rostock online in advance to enjoy the cheapest available ferry ticket price. The price you see is the price you pay. There are no hidden extras or surprises such as added fuel surcharges or booking fees and we do not charge you anything extra for paying with a Visa Electron card. The price we quote you for your selected Gedser passenger or car ferry ticket, onboard accommodation and vehicle type is all you will pay, and that's a promise. To obtain a Gedser ferry ticket price and book your ferry ticket securely online please use the real time ferry booking form on the left. You are also able to add a hotel at your destination, or anywhere else, to your ferry ticket when completing your ferry ticket reservation. Gedser is a town at the southern tip of the Danish island of Falster in the Guldborgsund Municipality in Sjælland region. It is the southernmost town in Denmark. It is an important port town on the Baltic Sea. A car ferry route has operated from Gedser to Rostock in Germany since 1995, served by Scandlines. Formerly, there were also train and car ferry routes to Großenbrode and Warnemünde and a car ferry route to Travemünde, all in Germany. A bridge linking Gedser to Rostock was proposed, although a decision was made in 2007 to support a planned fixed link across the Fehmarn Belt to the west of Gedser instead. With total investments of DKK 1.7 billion in new ferries and port extensions at Gedser and Rostock, Scandlines is underpinning the importance of this central European corridor for passengers and freight. The two ferries M/F Copenhagen and M/F Berlin have capacity for 480 cars or 96 lorries and up to 1,500 passengers. This will more than double previous capacity on the Gedser-Rostock route. The new ferries are being built to the maximum size that Gedser can handle. The ferries have been designed so that the hull is perfectly adapted to the crossing and bottom conditions in the ports, fairways and open sea. This will substantially reduce the use of bunkers, keeping emissions to a minimum. The ferries’ engines are capable of being converted to run on liquid natural gas. Since the early Middle Ages, there has been a ferry connection from the southern tip of Falster across the Baltic Sea to Mecklenburg and Rostock. Until Gedser was established at the end of the 19th century, Gedesby was the most southerly settlement. Here the ferry connections to Rostock had their departure point from the south end of the now-diked Bøtø Cove. A medieval ferry inn was situated in Gedesby. In the Middle Ages, royal travellers were accommodated in the royal border estate: Gedsergård, which belonged to the seat of the queen dowager in Nykøbing. The year after the storm flood of November 1872 a law was passed for the construction of a new ferry harbour with steamship connections to cities in northern Germany. The ferry berth and harbour train station as the last station on the railway line from Nykøbing was completed in 1886. In circa 1900, Gedser consisted merely of a general store on Strandvejen and some houses on the east side of Langgade. However, the development of the new Langgade’s area, earlier a dirt road, began to gather pace in 1903 after the establishment of a railway ferry to Warnemünde. Gedser developed over the course of a few decades with public buildings and housing for customs, railway, ferry and police personnel. The pilot station with pilot tower on Sdr. Boulevard was built in 1906, the Water Tower is from 1910 and the Power Station on Danmarksgade is from 1911. Gedser Church was designed in 1915 by the architect P.V. Jensen-Klindt, who later achieved notoriety for his design of Grundtvig’s Church in Copenhagen. Most of the railway and ferry installations managed to avoid demolition when the development of Gedser more or less came to a standstill in the 1960’s. Upon the creation of the Fugleflugts line in 1963, a great proportion of the traffic moved from the Gedser crossing to the Rødby-Puttgarten-crossing. That same year local efforts resulted in the establishment of a new fishing harbour. The lifeboat station has also existed on the same site since 1991. The old lifeboat station, which was built in 1925, was moved to the marina when the new lifeboat station came into operation. After World War II, the area north-west of the ferry harbour became a quarry for gravel and stone. The then Sydfalster municipality took charge of the area in the 1970’s and established a marina facing out onto Guldborg Sound. To the north of the marina, Gedser Holiday Park was built in 1987 as the first holiday centre in Denmark with a sub-tropical indoor water complex. Today the area has developed into a holiday home locality. The Gedser crossing enjoyed a brief renaissance due to the many East German day-trippers that resulted after the fall of the Berlin wall until the Gedser-Warnemünde train ferry route finally ceased operation in 1995. After 109 years of service, the direct train connection between Copenhagen and Berlin was closed. The train service between Gedser and Nykøbing has been downsized to a couple of departures daily. Best Price Guarantee - We always offer you our lowest available Scandlines Ferries passenger and car ferries ticket price to and from Gedser. There are no hidden extras or surprises such as added fuel surcharges or booking fees and we also we do not charge you anything extra for paying with a Visa Electron card. The price we quote for your selected Gedser ferry ticket, onboard accommodation and vehicle type is all you will pay, and that's a promise! 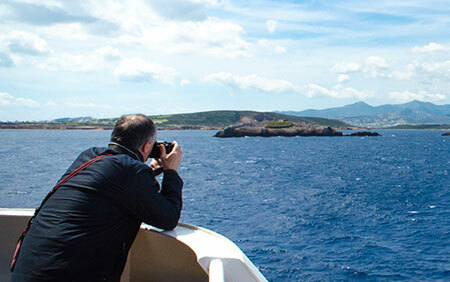 In the unlikely event you find the same all inclusive Gedser ferry ticket cheaper in the brochure of any other tour operator we promise that we will do our best to beat that price or offer you the choice of requesting a refund. To book Gedser car and passenger ferry tickets please click here. At ferryto.co.uk you are able to obtain live Gedser ferry ticket prices, check availability and book car and passenger ferry tickets to and from Gedser at our lowest available ticket price. Ferryto.co.uk is part of the world's largest online ferry ticket distribution network providing the ability to book over 80 major European ferry operators including to Gedser and to over 1,200 other ferry routes throughout the UK, France, Spain, Ireland, Holland, Eastern Europe, the Mediterranean, the Baltic and North Africa.